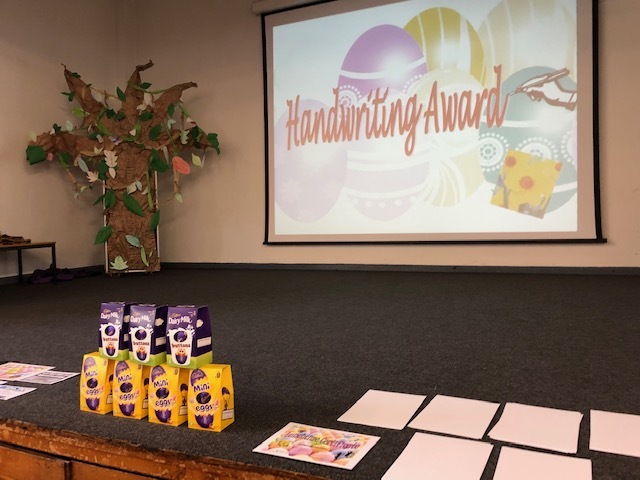 The whole school came together in a special assembly on the last day of Spring Term to celebrate the many inspiring achievements of our pupils. 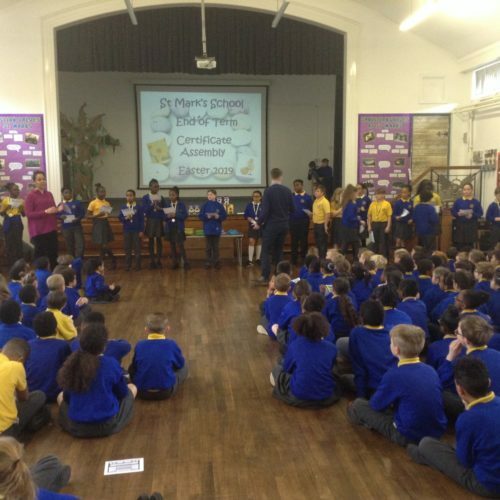 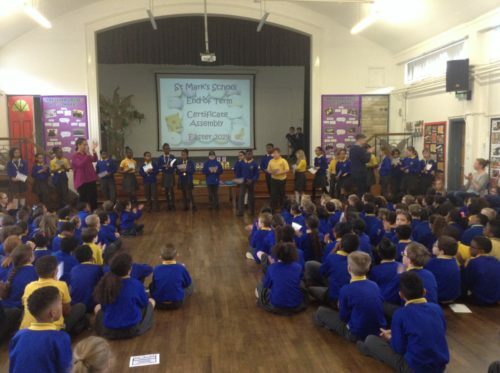 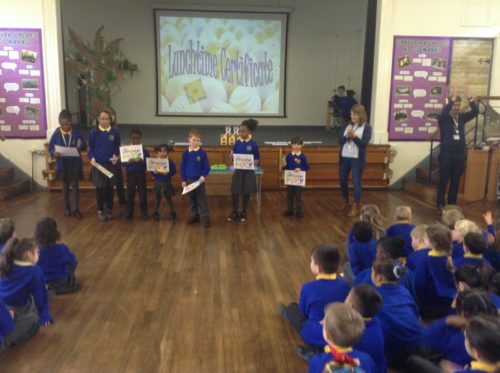 Over 60 medals were handed out to children who have been in school every day. 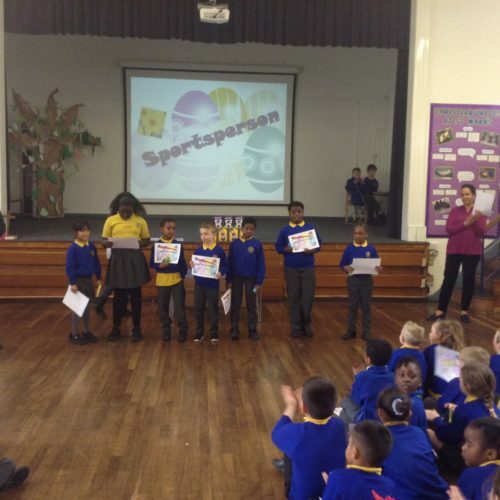 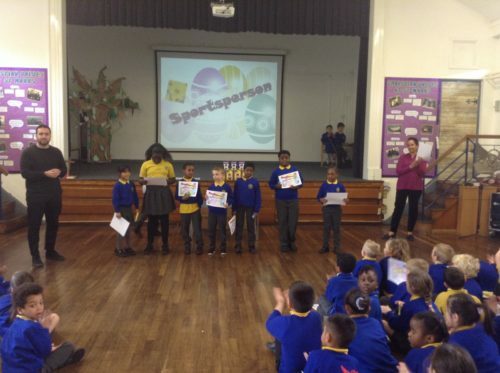 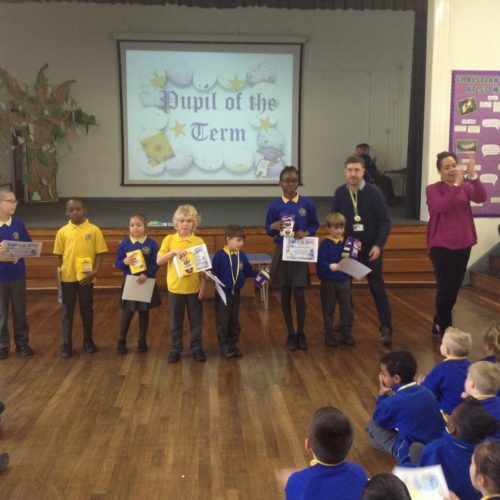 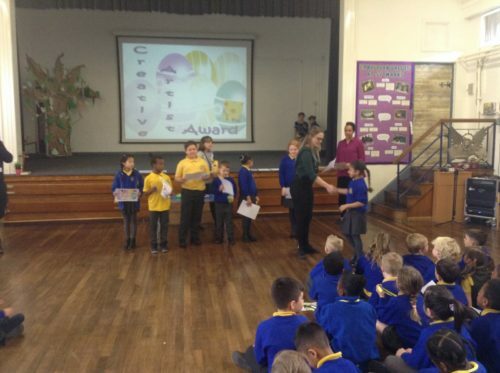 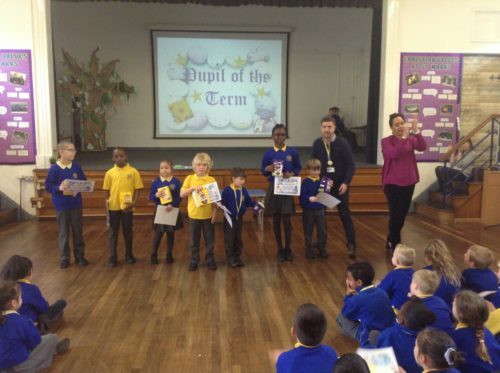 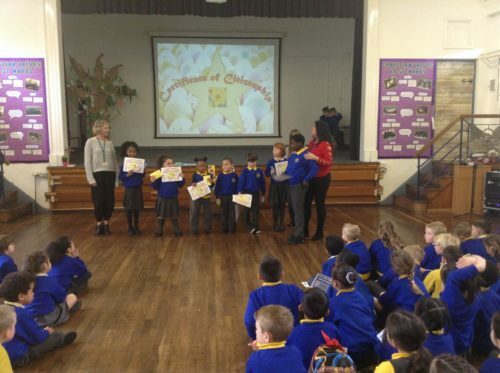 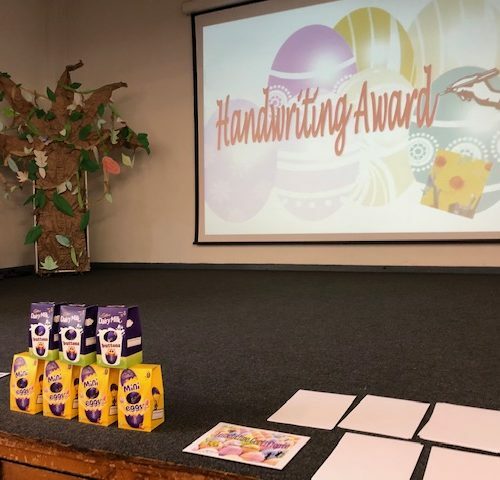 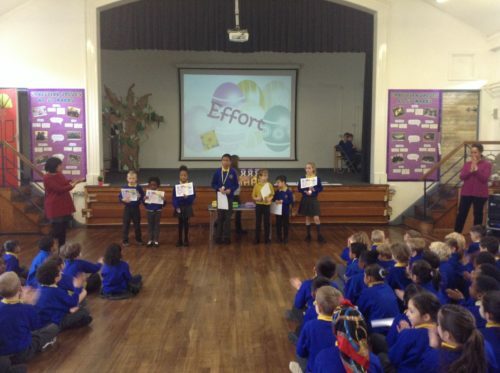 Over 100 prizes and certificates were also awarded for specific achievements including certificates for Progress, Behaviour, Effort, Creative Artist, the coveted title of Pupil of the Term and many more. 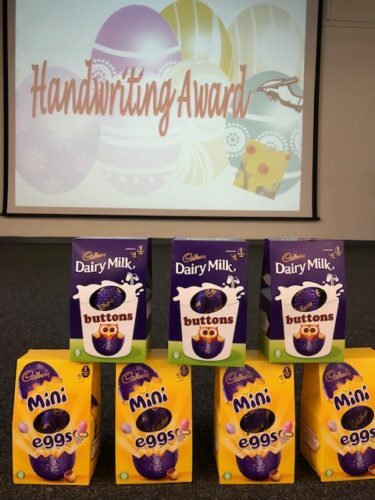 Always keep your handwriting on point! The Big One- Pupil of the Term!